“Do you know why Hello Kitty doesn’t have a mouth?” My friend asked me. Brilliant piece of information, isn’t it? 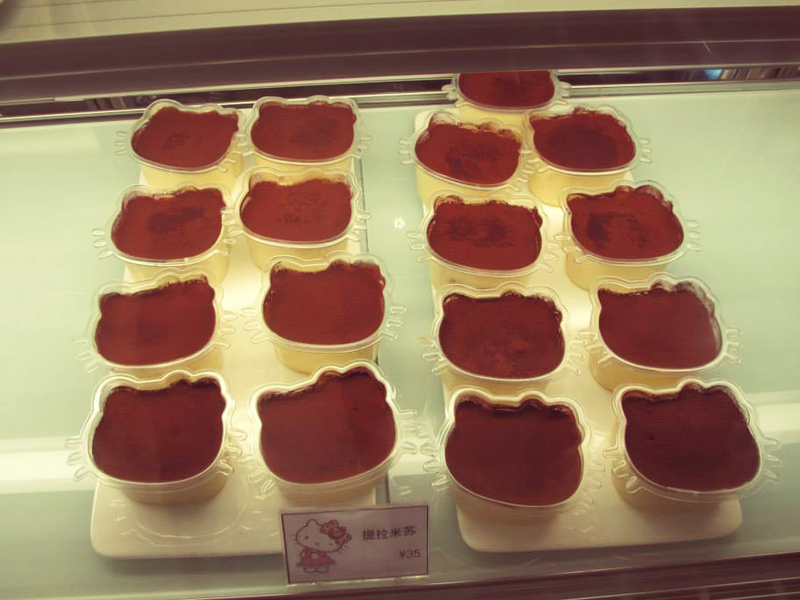 No wonder Hello Kitty is loved by so many! It’s nice to have a friend who will always empathize with you. 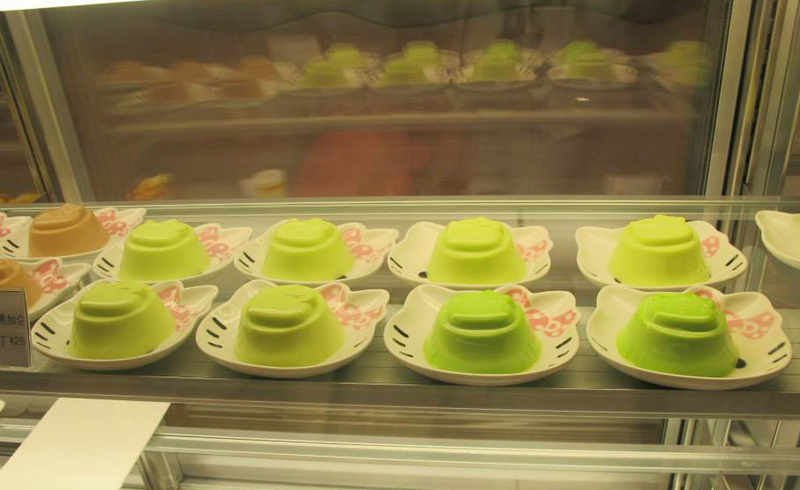 But to honest, before then, I never noticed that Hello Kitty didn’t have a mouth. She just looks complete to me and perhaps it’s because I’m doing exactly what her creators wanted – projecting my emotions of Hello Kitty. 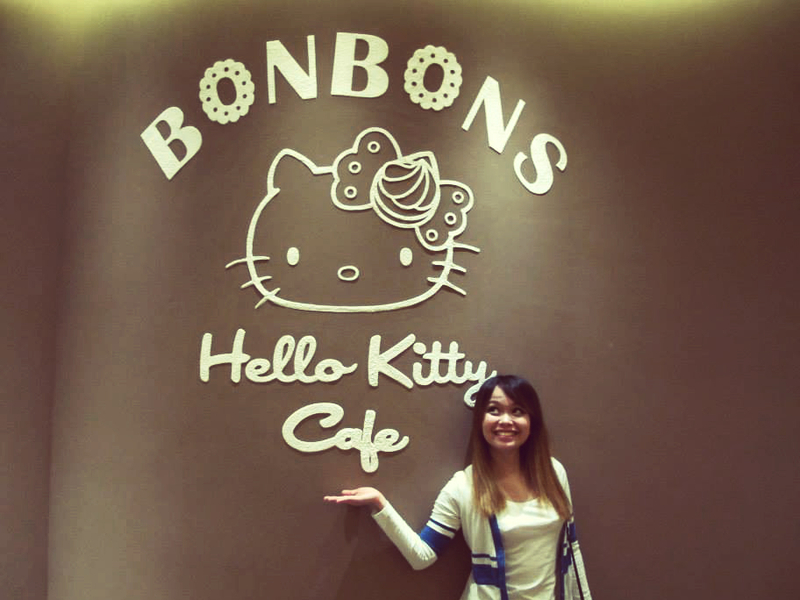 That discussion came up while my friend Isis and I were having brunch at the BONBONS Hello Kitty Cafe in Zhujiang New Town, one of Guangzhou’s central business districts. We found the place by accident whilst we were on our way to the metro station. The adorably pink store front immediately caught our eyes so we made a promise to drop by for breakfast the next day. When we went in though, we realized that the place didn’t serve anything substantial enough to be considered a meal. 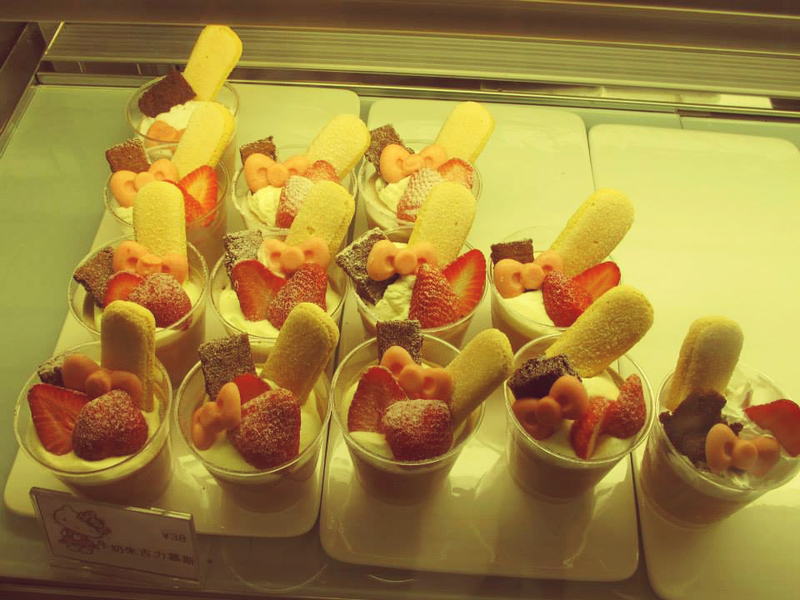 Instead, their selection included a range of coffee, tea, and smoothies for drinks plus tiny dessert dishes. 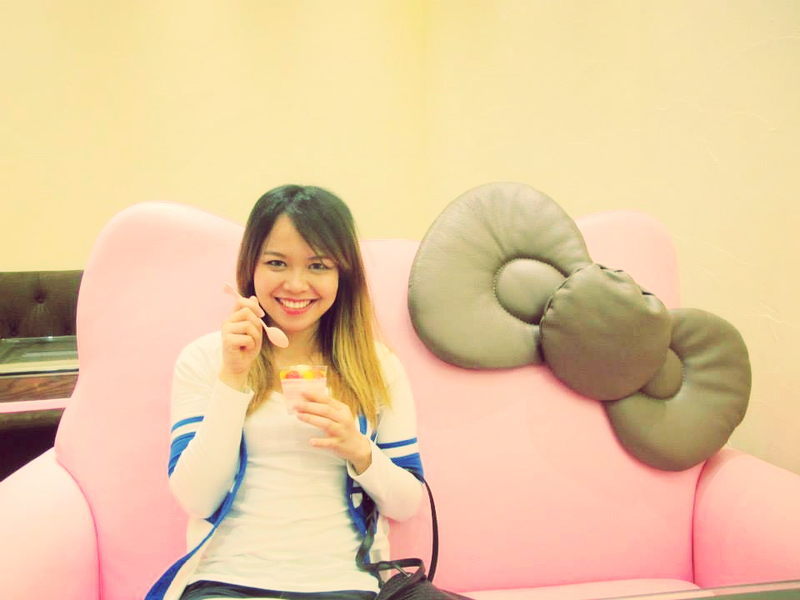 This is definitely one of those girly cafes where pigging out is not on the agenda. In fact, the prices were a bit on the expensive side: about 30+ RMB (PHP218, $5) for dessert and around the same price for coffee and tea. We ended up getting a rose mocha coffee and this cute panna cotta – like dessert. I found the coffee interesting because you can definitely taste the rose infusion, but the dessert was so-so. 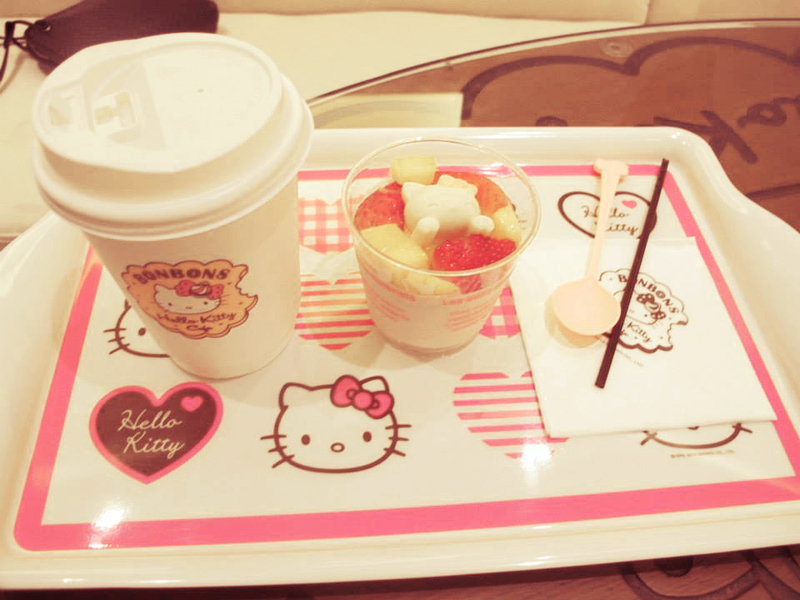 The best part of it was the white chocolate Hello Kitty, which I almost didn’t want to eat because really, how can you eat something soooo cute? I don’t think these will be one of the cafes that I will frequent in the future, but it’s definitely worth the visit because the interior is too pretty for words! Think about biscuit – shaped tables and teacup booths. It’s a place to go to with your girl friends for some girl bonding or with kids. Not sure any guy will dare set foot in it! I never noticed too that she has no mouth. 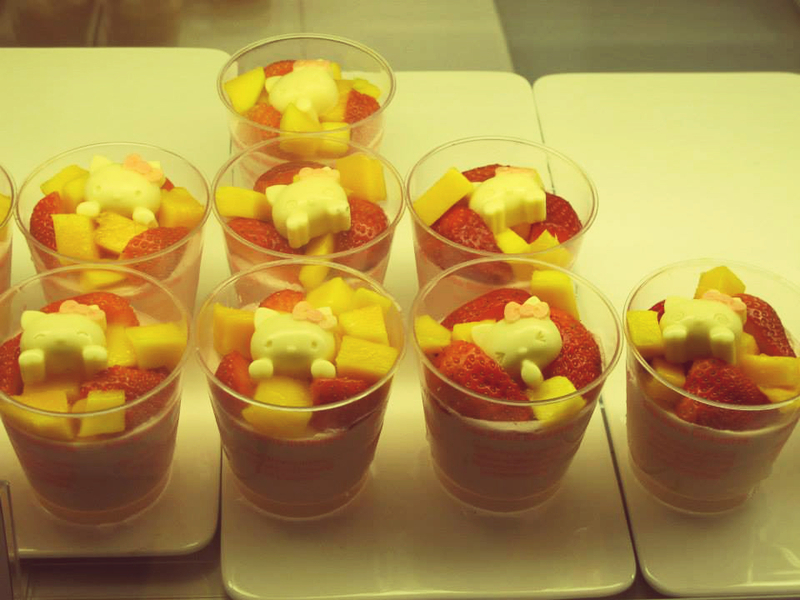 I am not much of a fan but I find her really cute and that cuteness becomes more irresistible when combined with food! that looks amazing! 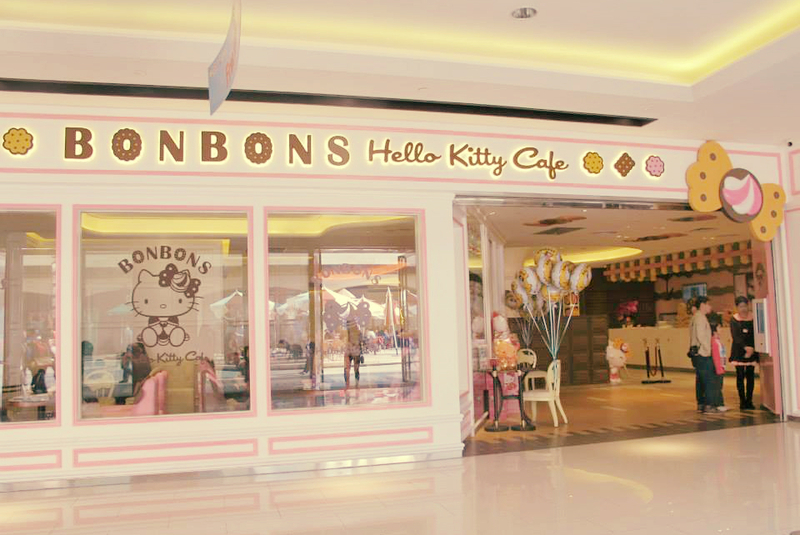 I need to go there. right meow. 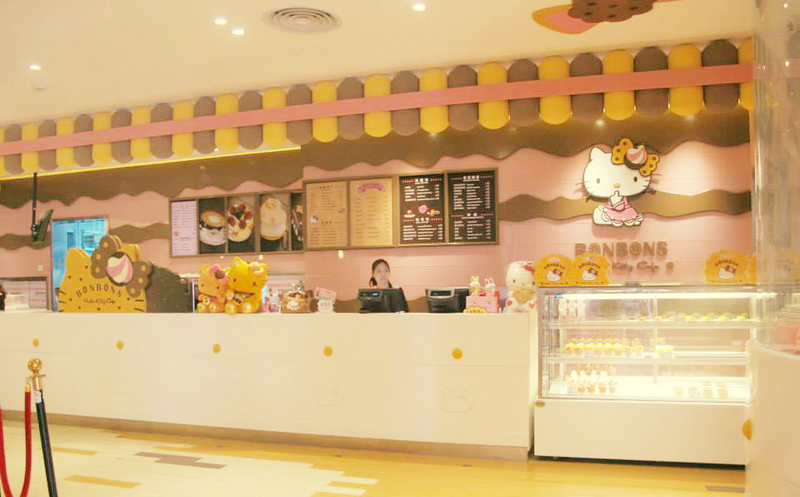 i miss hello kitty cafe! they should bring it back here in ph! 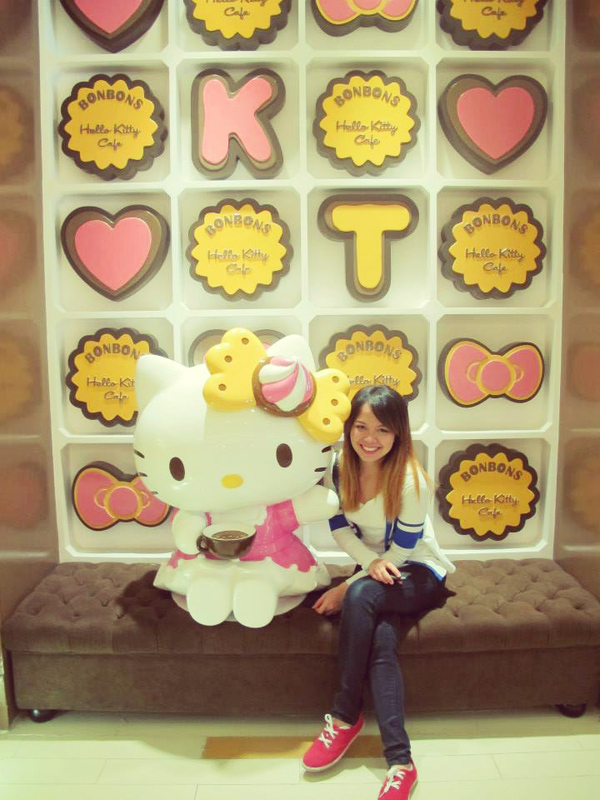 I think you can be an image model for Hello Kitty as you hove a very wholesome personality and such a great smile.